Sauvignon blanc – populist variety? Sauvignon blanc has delighted local consumers with its pungent fruit and vibrant freshness since it broke the variety’s previous somewhat neutral image in the early 1980s; Le Bonheur 1983 Blanc Fumé (but unwooded), followed by the renowned Klein Constantia 1986 Sauvignon Blanc were but two that led the charge. A charge that, apart from a blip of over-enthusiastic plantings of this climate-sensitive variety in unsuitable spots, continues to this day. Demand is always for the youngest and freshest sauvignon on the market (that’s typical of all whites, there’s no culture of ageing). Those youthful grassy, asparagus or tropical, figgy tones and zippy, refreshing acidity are easy to understand and readily recognisable by the average consumer. Youthful sauvignon’s popularity ensures a quick turn around from vine, through cellar and into the market place, a process that generates some much needed cash flow for producers without requiring too much selling effort. One can understand reluctance to drop such a cash cow from the range, even when the variety isn’t a producer’s major focus. Given such demand and good returns, what could sauvignon blanc producers possibly have to be unhappy about? A few things, which I’ll come to but I was prompted to consider sauvignon’s position in the local wine heirarchy by the chasm between it and chenin in the Platter Five star awards. There were raised eyebrows when just two sauvignons, Steenberg’s Black Swan 2017 (unwooded) and Bartho Eksteen’s wooded Houtskool 2017, received that ultimate rating and chenin blanc received 18 – that’s eighteen; 16 more than sauvignon and the most achieved by any variety or style. If that’s an extreme example, sauvignon hardly rolls in awards on other shows: a single sauvignon Trophy and no other golds on the Trophy Wine Show and just three Double Golds on Veritas (Michelangelo Awards’ layout is too time-consuming to count). Are judges prejudiced against sauvignon? Given nearly all these awards went to 2017s, does this suggest producers are being too greedy and shooting themselves in the foot by releasing too young? Or are they thinking more of the consumer after those youthful, uncomplicated wines, than awards? 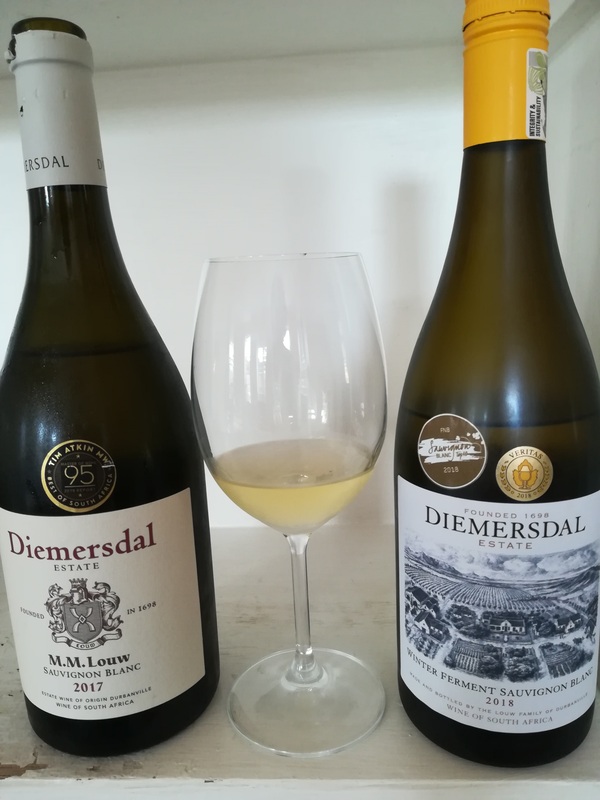 Keen to get some answers, I turned to someone who knows a thing or two (or eight, if my count is correct) about sauvignon; Thys Louw, cellarmaster at the Durbanville family farm, Diemersdal, who is also on the committee of the Sauvignon Blanc Interest Group. There is obviously a level of frustration, especially with the Platter results; ‘It’s wrong, sauvignon isn’t bad,’ Louw is perplexed. He mentions sauvignon is, per bottle, the highest-priced export white wine and still outsells chenin, ‘even some who talk up chenin sell more sauvignon’. Timing of shows probably affects sauvignon more than other varieties, especially as the majority of entries are from the current vintage. That still doesn’t explain why the generally more serious wines, a year older, fail to claim high medals. Louw times bottling so he can enter both Veritas and FNB Top Ten; all, bar MM Louw and Wild Horseshoe 2017, are 2018s and listed in Platter as bottled wines. Louw kindly gave me a bottle of both MM Louw 2017 and Winter Ferment 2018 to try; these are serious, complex wines which will benefit from the further ageing they deserve and when the former could well perform better than its Gold Veritas award. If sauvignon producers are unhappy about the paucity of awards, one also gets the feeling they’re irked by chenin’s ‘darling’ status and the generous international promotion it receives, especially given the far greater volume and value of sauvignon exported (see table below). Louw informed me sauvignon received none of the specific focus afforded other varieties at Cape Wine, something which doesn’t align with international sales. But if brand sauvignon needs improving, which I think is the crux of the matter, then it’s up to the producers and SBIG to drive this. The Chenin Blanc Association is very visible and active, driven by the indefatigble Ina Smith and Ken Forrester. Who knows what the Sauvignon Blanc Interest Group does, apart from the FNB Top Ten, nor the people involved (well, now I know Thys Louw is). This is not a criticism applicable to SBIG only as few other Interest Groups do much or anything to promote the wine or style they represent. In SBIGs case, this could easily be seen as producers resting on their laurels of successful sales, especially at the youthful, uncomplicated end; a short-sighted view. If politics are involved in how SBIG operates (in some form or other, I fear they do in every group) they need to be put aside in the interests of this variety with its important financial implications. 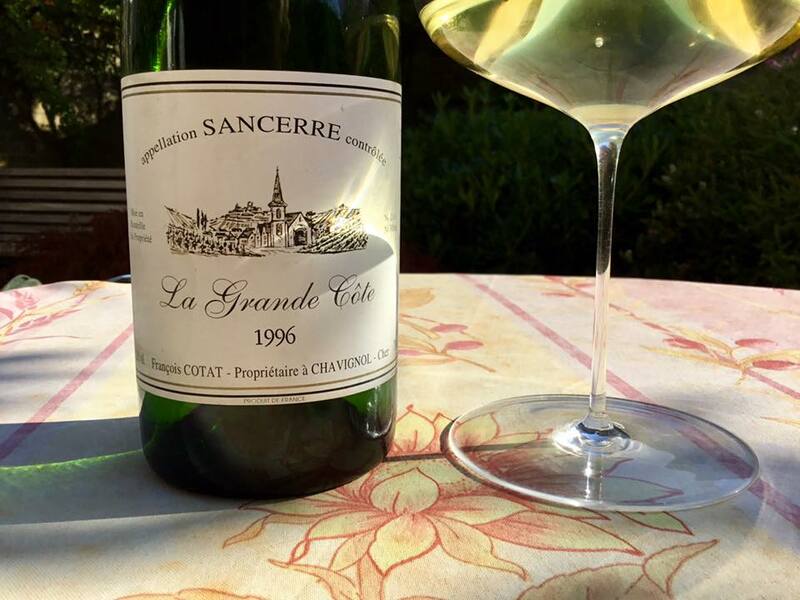 Involve the media, involve consumers; show them sauvignon’s diversity and ageability, whether unoaked or oaked; differentiate the everyday from special, individual sauvignons through later releases; tell them your story; involve sauvignon’s personalities; create more awareness and a positive image. There’s room for fresh, fruity and uncomplicated sauvignon as a populist style, but don’t expect respect at the top end without giving it the promotion it desperately requires. There’s a world of competition out there.